It seems that linking to photos is a constant source of problems for some of our members, so I thought I would put together a step-by-step guide to expand on the instructions already put together by Rob. First of all - let's look at how you can link to any image or photo that is already on the web. 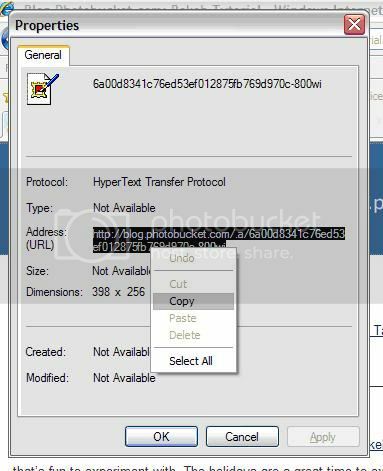 In Microsoft Internet Explorer, right-click the image you want to include in your post, and choose "Properties" and then highlight and copy the link for "Address (URL)" half way down the pop-up box that appears, and then close the Properties box. Highlight by clicking and dragging the mouse over the whole of the link until it is highlighted black, then right-click and select (left click) "Copy"
With Google Chrome it is easier - just Right Click the image you want to link to, and then choose "Copy image URL" from the drop-down. 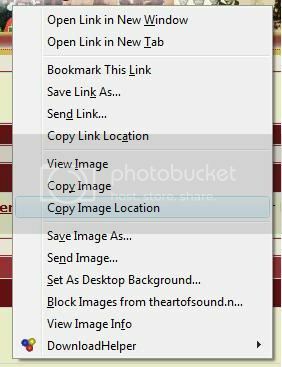 The principal is the same with Mozilla Firefox - but this time the option is called "Copy Image Location"
Whichever browser you use, you should now have the URL of the image copied to your clipboard, and you are now ready to include in your AoS post. The easy way is to use the "Image" button. 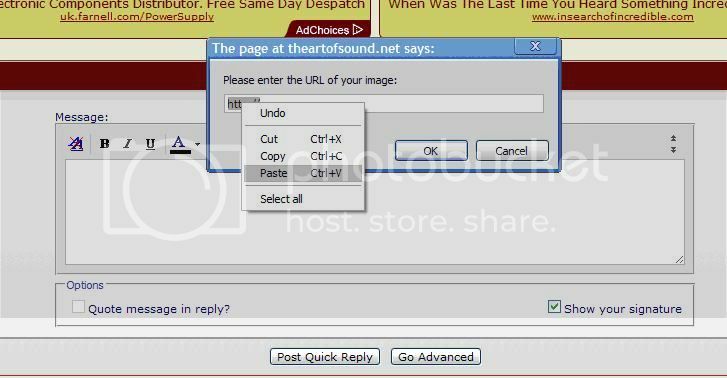 Make sure the cursor is where you want the picture to appear in your post screen, and click the button - this will create the "tags" that tells the forum software you wish to display a picture. 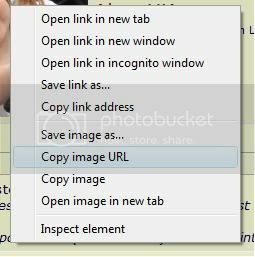 A small window will appear - right-click the text and choose "Paste" to paste the link you copied earlier. Click "OK" and the system will automatically place the code in your post, be sure to move away from the highlighted text or you will delete it. So - in practice, all you do is press the Image button, and then paste the link where you want the picture - job done! When you complete your post, the Image will appear where you have placed the text - easy! You will need to create an account if you don't already have one - this is straightforward, and you should just be able to follow the instructions on the site. Then, it is time to upload your own pictures. Try to keep these to a small size - I'd suggest no more than 1000 pixels wide - you can use Photobucket to resize the photos if needed once uploaded. 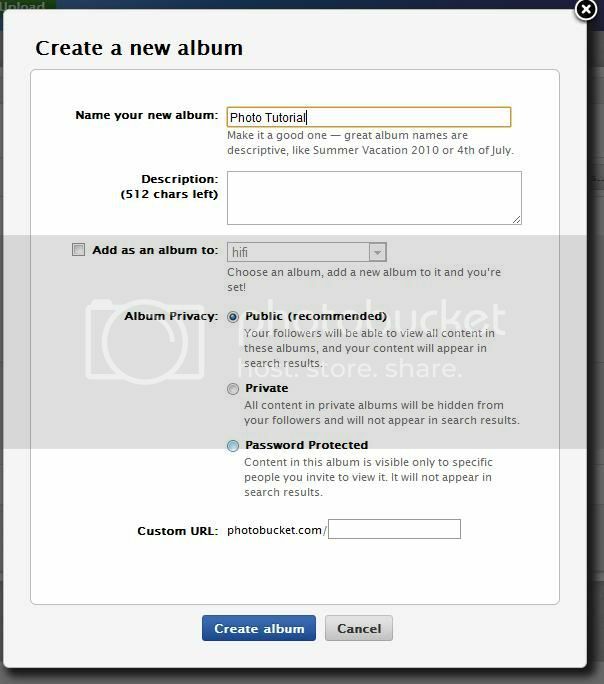 You might want to create a new album especially for the purpose - click the New Album button - which will give you this screen: By default it sets the view to "Public" - make sure you don't change this, otherwise the images won't appear on the forum. You will then get a standard Folder viewer - navigate until you find the folder where your photos are stored, and then click the image you want to upload. 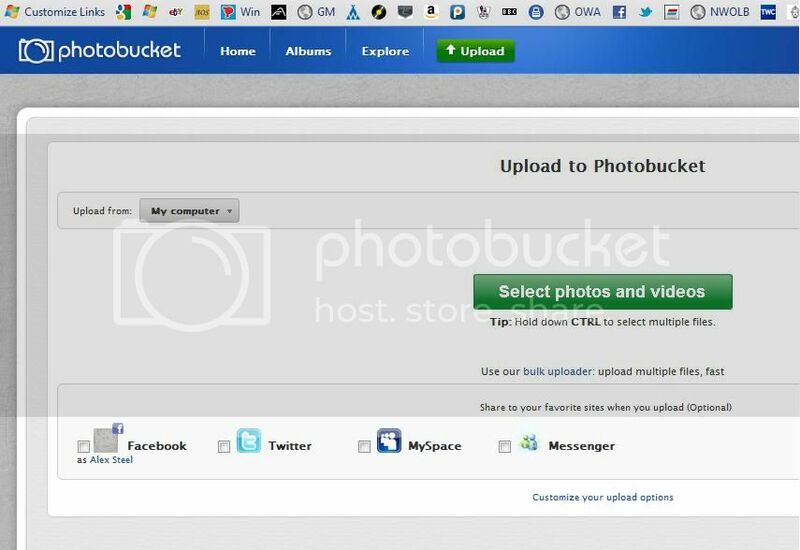 If you hold down the "Ctrl" button, each image you click will be added to the upload list, so you can upload multiple photos in one go. Once you are happy you have selected all the images you need, click the "Open" button and the photos will begin to upload. 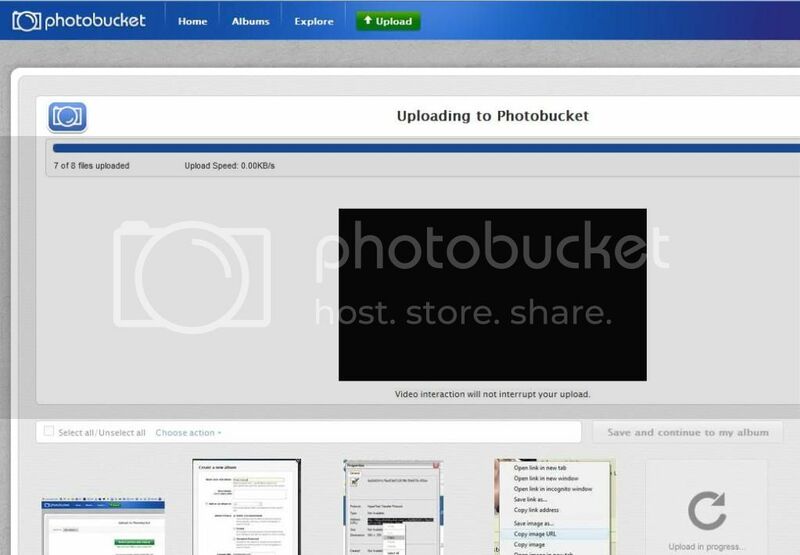 Once your photos are stored in Photobucket, it is then simply a case of "linking" to them in your forum post, in the same way as we did at the beginning of this tutorial. 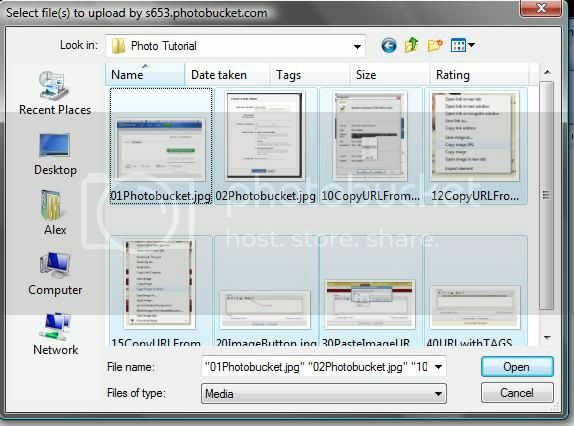 In Photobucket it is even easier, as you can copy the whole "IMG" code, including the URL and the Tags: All you do is click the "IMG Code" you see under the photo in Photobucket - it will briefly show "Copied"
All you need to do now, is just paste the copied text into the forum where you want the image. 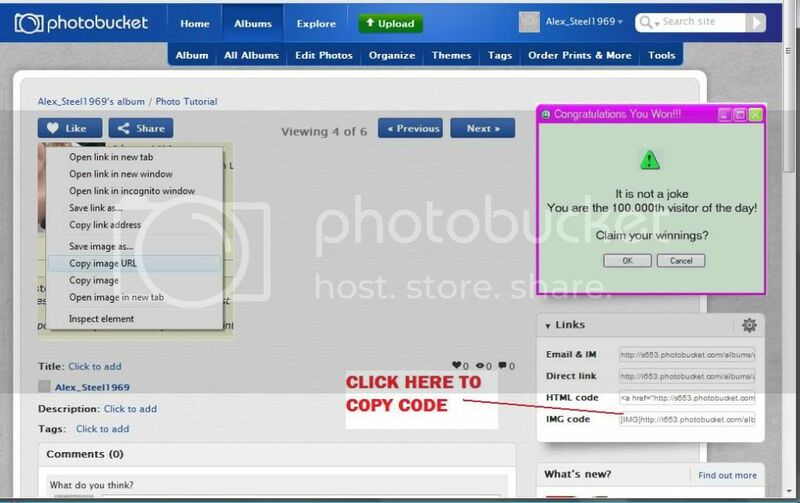 (Just put the cursor where you want the picture, and then "Ctrl" and V or right click the mouse and choose "Paste") - you don't need to worry about the Image button, as Photobucket has already created the code for you when you copied it. Job Done. I'm happy to try and help further if you are still having trouble - drop me a PM and I'll do my best. In the meantime - happy pasting! Last edited by Alex_UK; 22-12-2011 at 18:45. A.o.S. on Facebook - A.o.S. on Spotify - A.o.S. on Twitter - A.o.S. Album Club - reloaded - Are you in...?